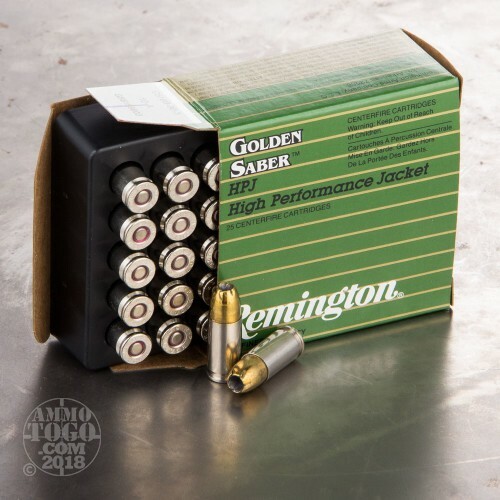 Remington Golden Saber ammunition provides you with a proven self-defense capability at a reasonable price. 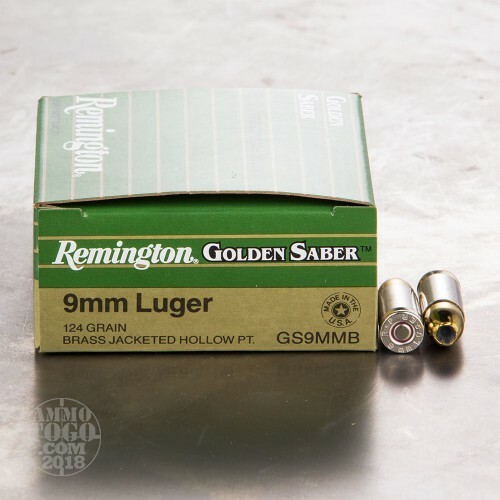 These 9mm Luger cartridges fire a 124 grain jacketed hollow point that provides and high diameter expansion to stop an attacker quickly. 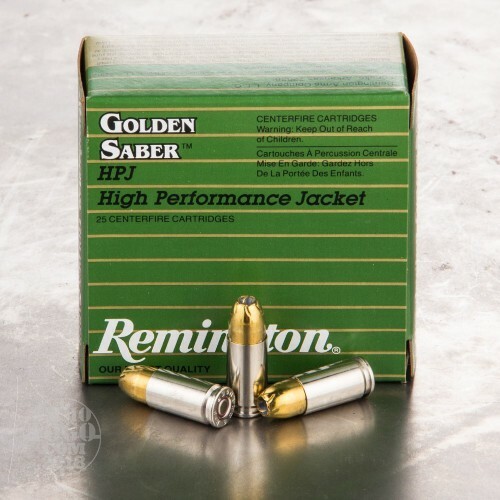 The Golden Saber's jacket is made of brass for enhanced penetration. This ammo is loaded in Lonoke, Arkansas using non-corrosive Boxer primers. 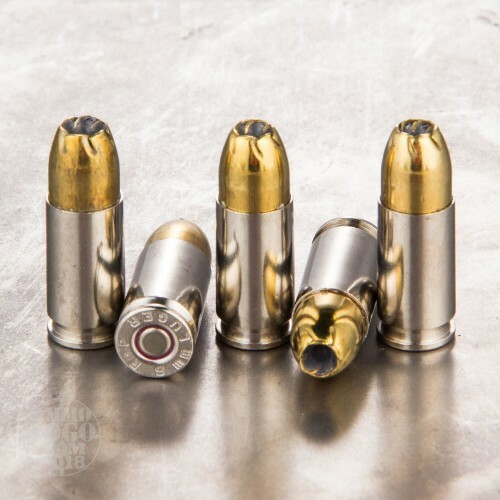 The brass cases come with a nickel plating that resists wear and tear, a useful feature since carry loads are often stored in firearms for extended periods without being used.